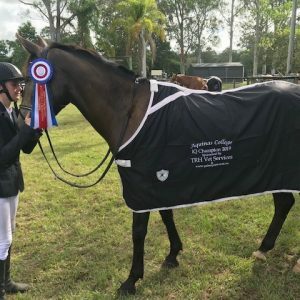 It has been a very busy start to 2019 with numerous sporting events taking place in the Junior School and much success achieved at Andrews Cup events. 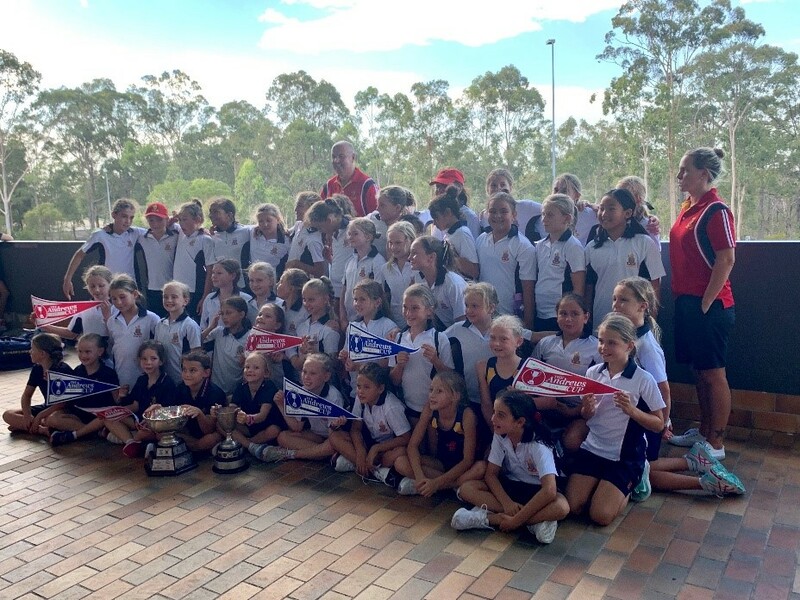 The Inter-House Swimming Carnival was held on Friday 15 February. All girls performed well and with great House spirit on what was a very enjoyable day. Tristania were crowned the 2019 Inter-House Swimming Champions, breaking Acacia’s 10 year winning streak. St Hilda’s Andrews Cup Swimming Team are the 2019 Andrews Cup Swimming Champions! We last won this event in 2013 and since then we have placed 2nd and 3rd on numerous occasions. This was our year though, as the 51 girls who made up our team achieved outstanding results. The highlight of the day was our ‘Springfield Cup’ Open 4 x 50m Freestyle Relay win. The relay team, Sara McCarthy, Eva Brinsmead, Sienna Lea’aetoa and Georgia Lea’aetoa all swam brilliantly to convincingly defeat the other schools. This was our first victory in this event since 2009. All girls put in such great effort on the day and are to be congratulated for all their hard work at training and their support of each other. They should be very proud of their performance. A big thank you must go to Ken Malcolm and our swimming coaches who have put in an enormous amount of time and effort with the girls at training to prepare them for the event. Congratulations to the seven Junior School girls who attended the District Swimming Trials on Monday, 18 February: Sienna Lea’aetoa, Charlize Hamilton, Stella Reichman, Sara McCarthy, Eva Brinsmead, Georgia Lea’aetoa and Georgie Sialiepata. Each girl performed well in her chosen events and six girls qualified to compete at the South Coast Regional Trials. Holly Warn (Multi Class) – 1st 100m Freestyle, 1st 50m Butterfly, 1st 50m Backstroke, 1st 50m Breaststroke, 1st 50m Freestyle, 2nd Mixed 200m Freestyle Relay and 2nd 50m Freestyle Relay. 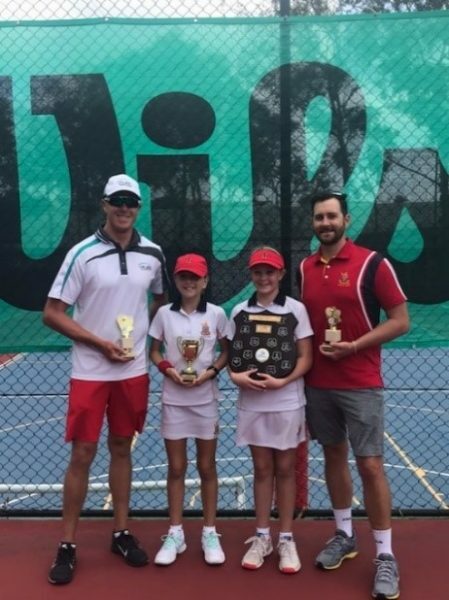 We had great success at the Inter-School Tennis Challenge where more than 100 schools and 200 players competed in the round-robin doubles event. 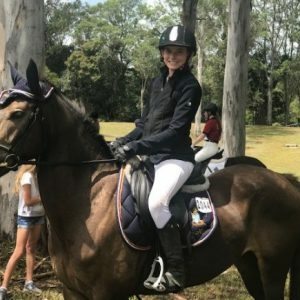 Summer Osborne, Analiese Murphy, Zoe Baird, Lily Fell, Ivy Jezierska, Lara Michael, Sabrina Theobald, Millie Canon and Sarah Bigg participated in the event. Congratulations to Analiese and Summer who won the competition. The whole school Inter House Cross Country was held on Friday, 15 March. Girls competed in very tough, hot conditions but as always, they did so with great school and House spirit. Acacia were crowned our 2019 winners, narrowly beating Tristania. 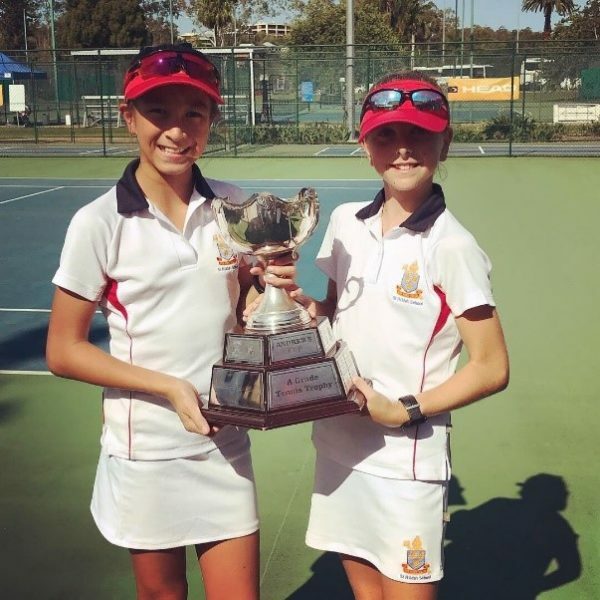 After a very successful year of Andrews Cup Tennis in 2018, the girls were faced with the challenge of maintaining their good form in 2019. They didn’t disappoint! They girls played great tennis and followed on from the success they achieved at the Inter-School Challenge earlier in the term. Thanks to the coaches and St Hilda’s staff member Nicola Jones, for their support and guidance of all girls. 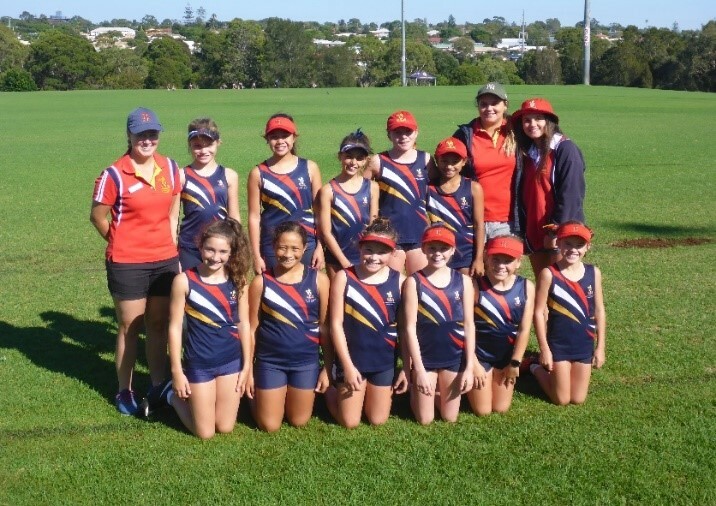 The Andrews Cup Touch girls represented St Hilda’s incredibly well at the Andrews Cup Touch Competition in Toowoomba on Tuesday, 19 March. They had a very early start to the day at 5:15am, but they all did an outstanding job as reflected in their great results. The A and B teams performed particularly well, with the B team only losing their final game of the day to eventual winners, Fairholme. The A team played in the final against Glennie for the third year in a row, only to narrowly be defeated. Again, a big thank you to all the coaches who prepared the girls for this event with two training sessions per week and Saturday Touch games. Junior A grade (Years 4) 5th. Congratulations to the girls who attended District Trials for Netball and Basketball this term and well done especially to Mariah Al-Nabhan-Sua who was selected in the District 12 Years and under Netball team. 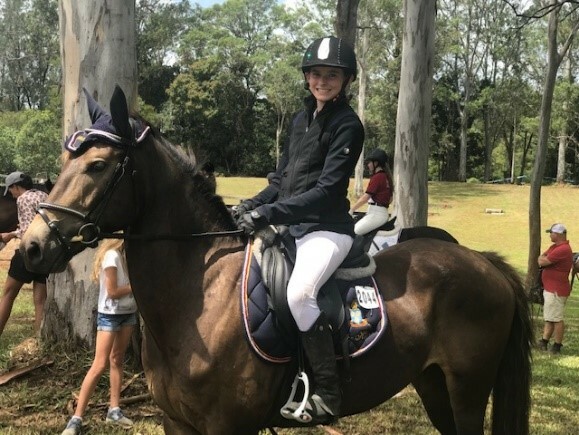 Josephine Hermann competed in two Interschool Show Jumping Qualifying Events. 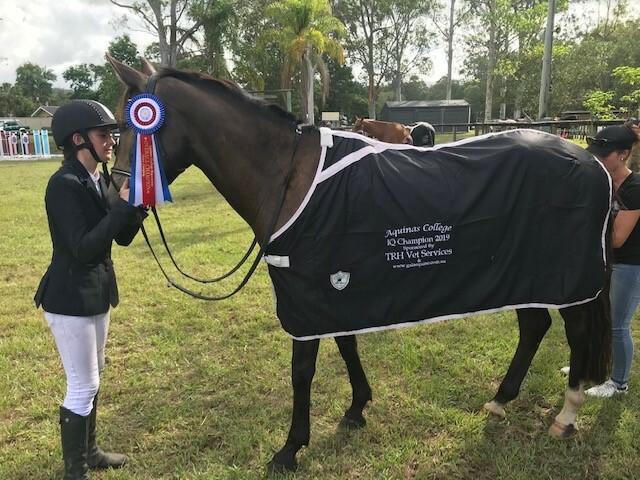 On Sunday, 3 March, she was awarded Overall Champion in the 70cm primary class at the event hosted by Aquinas College and on Sunday, 10 March, Josephine was awarded Reserve Champion in the same class hosted by Stuartholme. A fantastic achievement! We have had 4 rounds of Saturday Club Touch so far this term with one round unfortunately washed out. The girls are training well, in particular our youngest team, the Butterflies, who are improving rapidly and will look to move up a division in the coming weeks. Saturday Club Netball has also started well this year with St Hilda’s again entering a large number of teams. Good luck for the rest of the season girls!